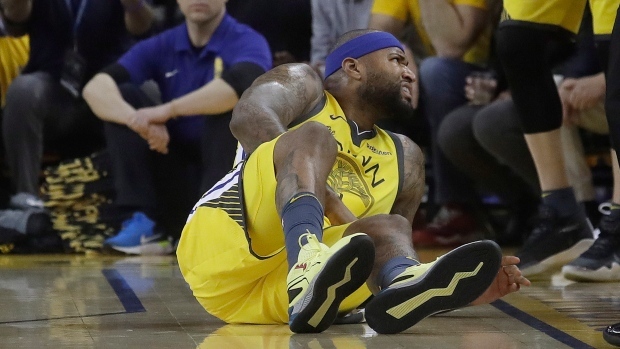 OAKLAND, Calif. — Starting Warriors centre DeMarcus Cousins' post-season could be in jeopardy after he injured his left quadriceps muscle in the first quarter of Monday night's 135-131 Game 2 loss to the Los Angeles Clippers in the first round of the playoffs. Kevon Looney filled in and scored a career-high 19 points making all six of his shots. Looney will be called upon to fill the void along with recently signed centre Andrew Bogut, who rejoined the Warriors for another run and to provide depth down low for this exact scenario.